At the top, the thrill of the Luge, the culinary delights of the Stratosfare Restaurant & Bar, beautiful nature walks and exciting adventure activities all await you. For a casual dining experience visit our Food Market Kitchen, a marketplace style cafe that has something for everyone - from great coffee to real fruit ice cream. The whole family will enjoy our fun Jelly Belly gallery and store or just for the adults our new Volcanic Hills winery and tasting room. 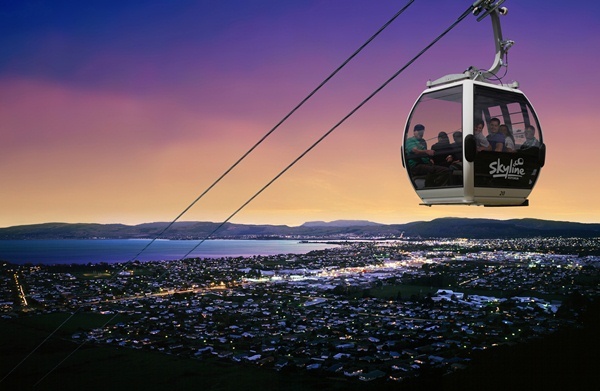 Jump on board one of our eight-seater Gondola cabins and experience Rotorua’s most spectacular views from one of the best things to do in Rotorua! 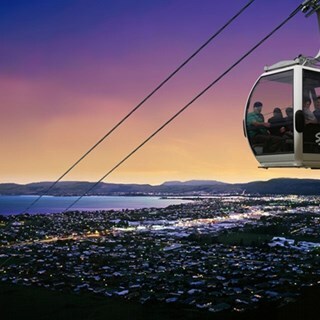 Skyline Rotorua’s 900 metre long Doppelmayr cableway system will transport you and your friends on a gentle, scenic ride up to the Skyline Rotorua complex.